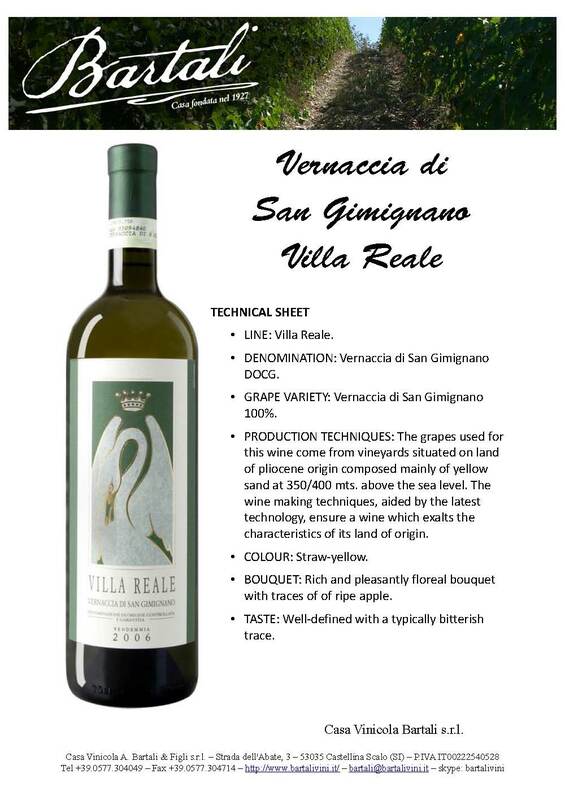 GRAPE VARIETY: 100% Vernaccia di San Gimignano. The grapes used for this wine come from vineyards situated on land of pliocene origin composed mainly of yellow sand at 350/400 mts. above the sea level. The wine making techniques, aided by the latest technology, ensure a wine which exalts the characteristics of its land of origin. BOUQUET: Rich and pleasantly floreal bouquet with traces of of ripe apple. TASTE: Well-defined with a typically bitterish trace.